As your gravid chameleon gets closer to parturition, it is important that you prepare a nesting box in which your pet can deposit her eggs. 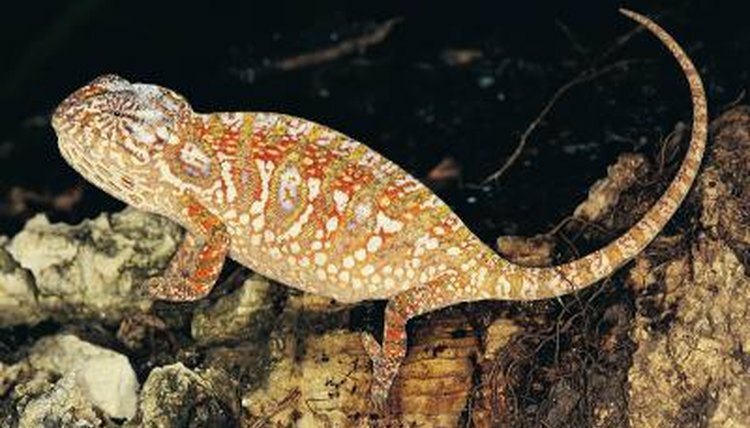 If you do not provide your chameleon a nesting box, she may become egg-bound or simply drop the eggs from her perch, destroying them. Fortunately, nesting boxes are inexpensive and easy to construct. Though preferences vary among species, most captive chameleons will use a nesting box filled with organic potting soil, moist sand, a mixture of sand and peat, or vermiculite. The substrate should be slightly damp but not wet. A good way to test your soil or vermiculite for moisture is to squeeze it in your hand; the soil should clump, but water should not drip from the soil. Place the chosen substrate in a plastic food container or small bucket. Place the entire nesting box inside the cage a few days before the anticipated date of egg deposition. Be sure to arrange at least one branch that allows the chameleon to climb into and out of the nesting box.